Join us for this fun & informative day! 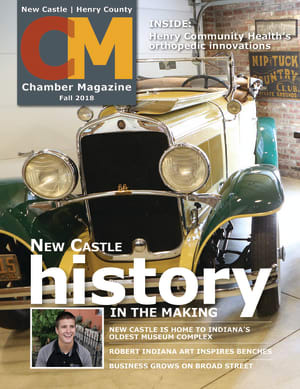 Join the New Castle Henry County Chamber and over a dozen other chambers from around Indiana for the 2019 Statewide Chamber Day at the Statehouse, coordinated by the ICEA. On March 12th, your Henry County colleagues and small business owners will get a chance to see the Indiana General Assembly in action. By participating, you can; tour the Statehouse, hear powerful presentations, get a personal look at the legislative process, and have lunch with other chamber advocacy teams from throughout Indiana.